Flight Plan Page from Apollo 11, actually used by the crew of Apollo 11 during their historic mission to land the first men on the moon! 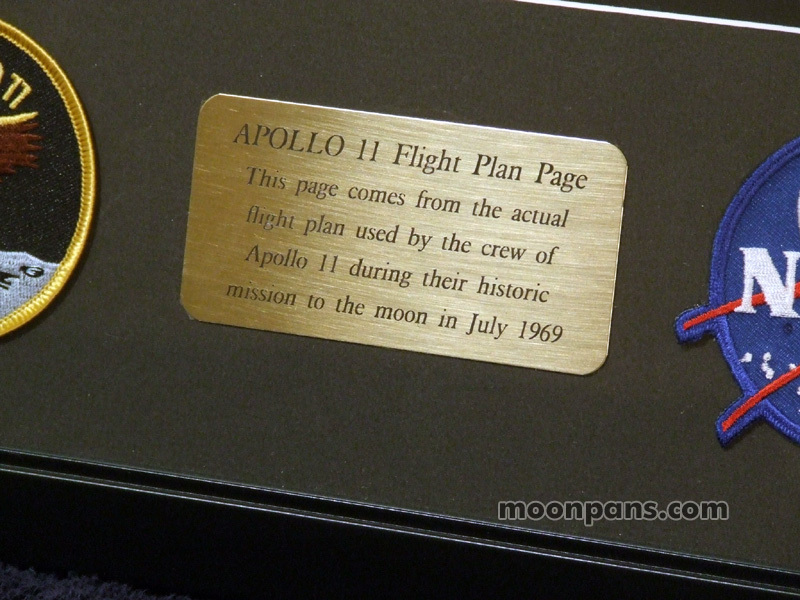 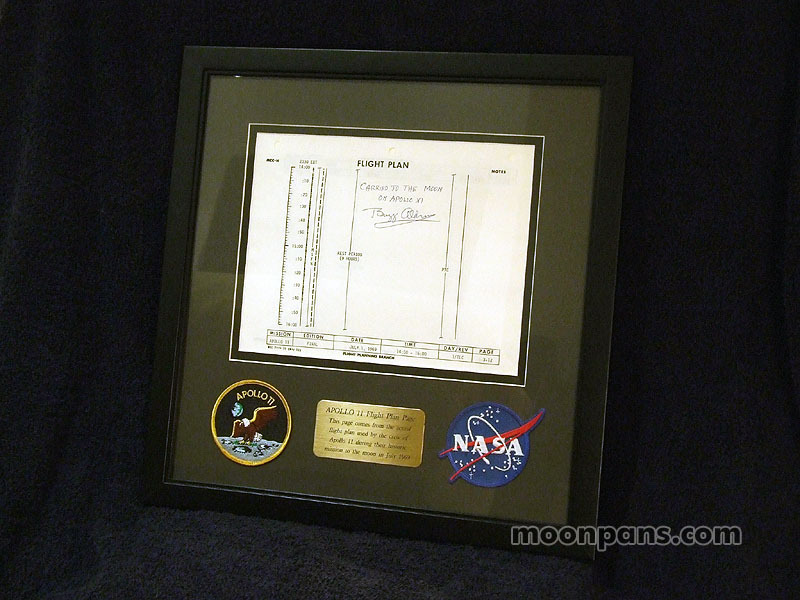 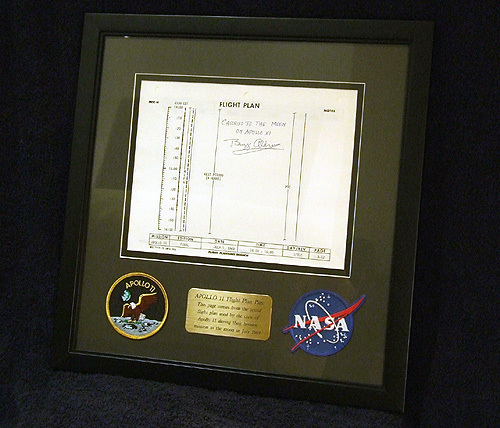 The framed piece features a page that was part of the Apollo 11 Flight Plan which was used during the first lunar landing mission in July 1969. 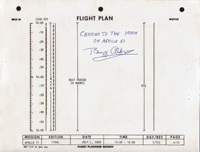 "Enclosed with this letter is a sheet numbered 3-12 and 3-13 from the Apollo 11 Flight Plan, Part No. SKB32100080-350, S/N 1001. 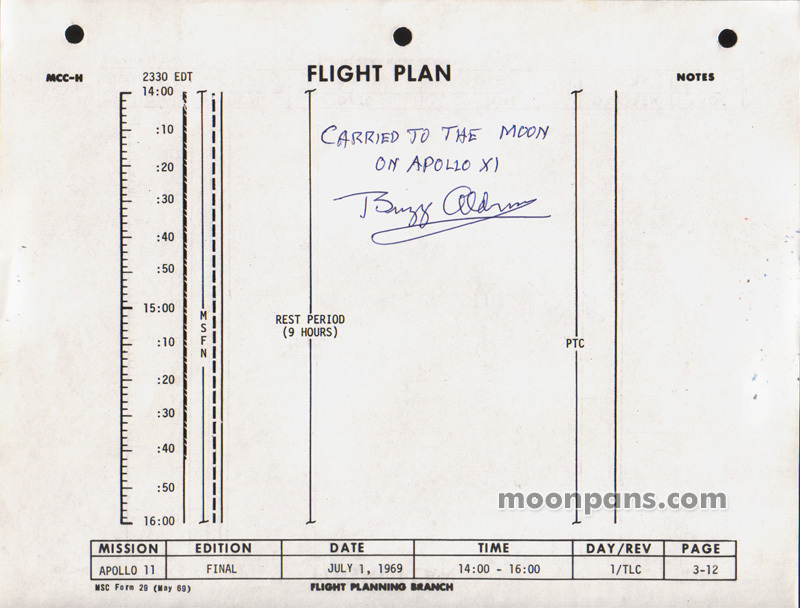 It is part of the entire document that was carried to the Moon in Command module Columbia during the first lunar landing mission. This sheet is from the detailed timeline section and covers hours 14 through 18 of the mission. 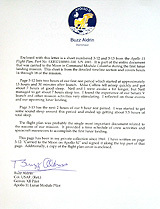 Page 3-12 lists two hours of our first rest period which started at approximately 13 hours and 30 minutes after launch. 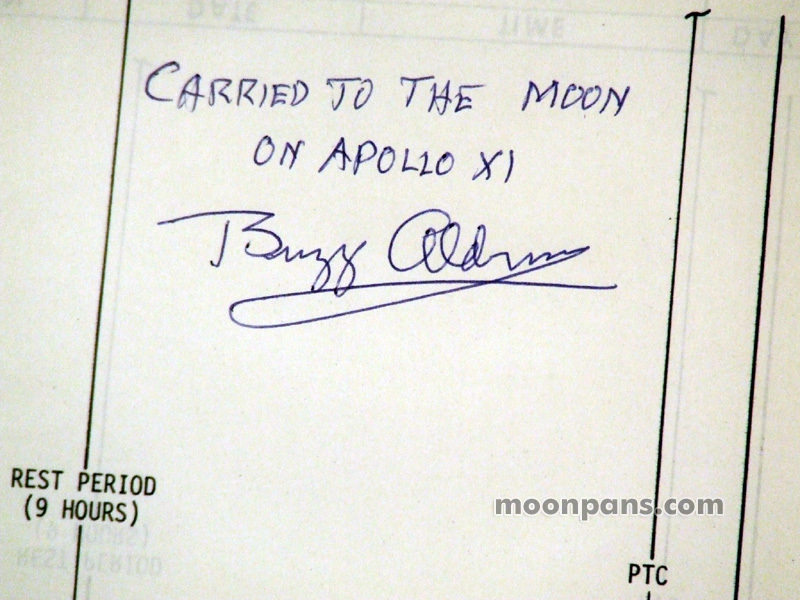 Mike Collins fell asleep quickly and got about 7 hours of good sleep. 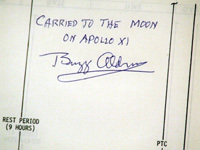 Neil and I were awake a bit longer, but Neil managed to get about 7 hours sleep too. 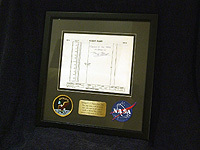 I found the experience of our Saturn V launch and other mission activities very stimulating. 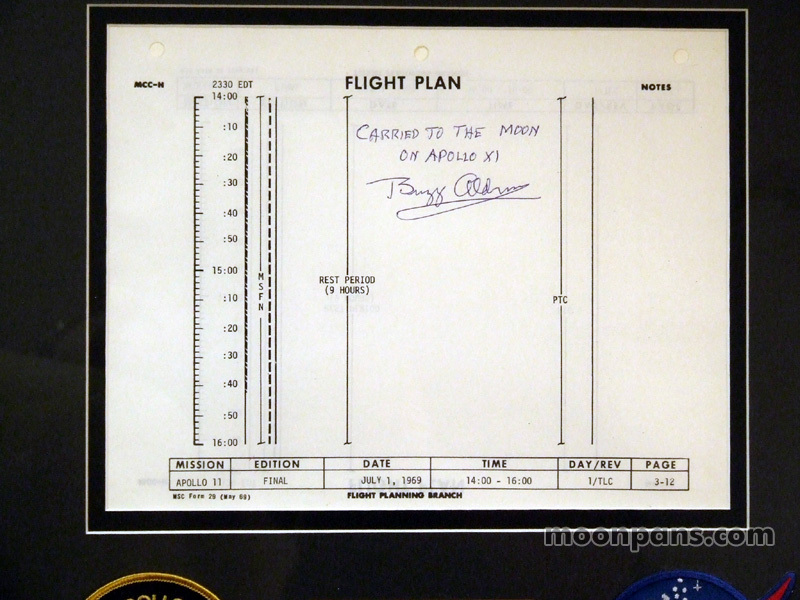 I reflected on those events and our upcoming lunar landing."